New Crimson Trace Laserguards are available for all HK VP models, and new color frame models have been added to the VP9SK lineup for 2018. 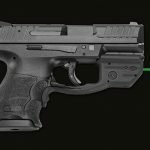 Heckler & Koch has announced that Crimson Trace Laserguards are now available for all of its VP models. 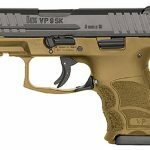 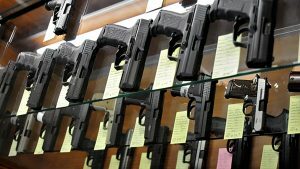 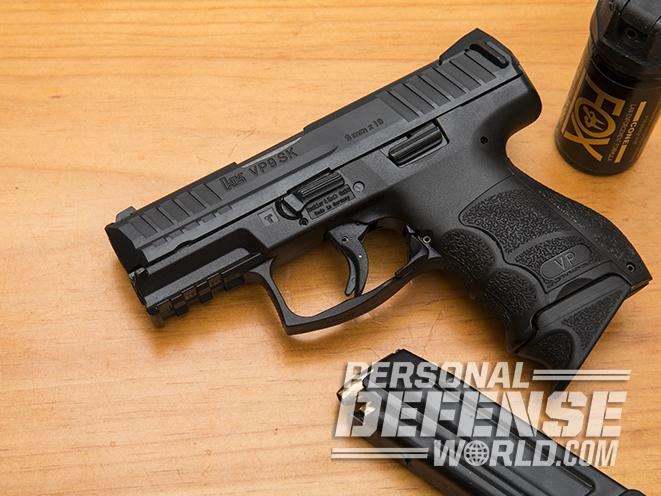 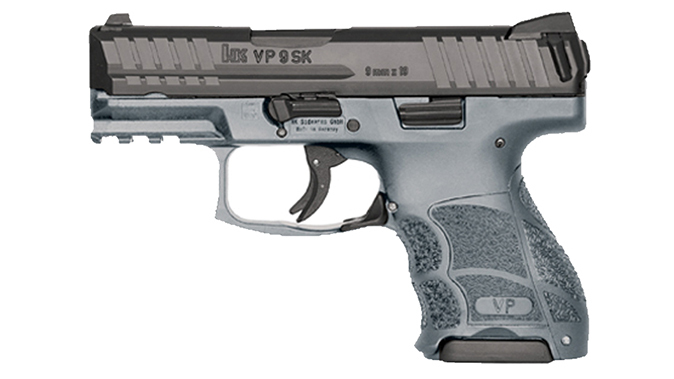 In addition, the company has added new color frame models to its VP9SK subcompact series. 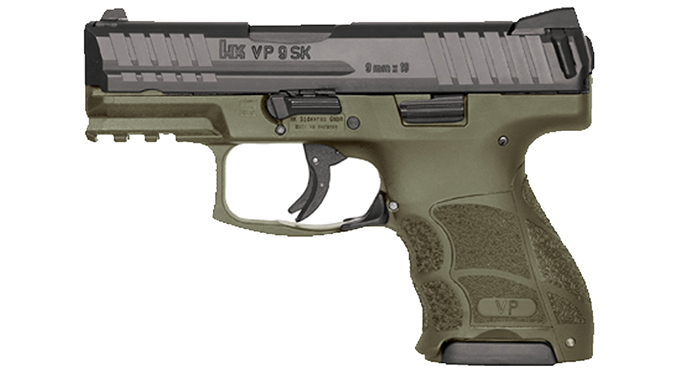 The Laserguard LG-499 (red) and LG-499G (green) laser sights attach firmly and securely to the trigger guard and lower accessory rail of HK’s VP9, VP40 and VP9SK guns. 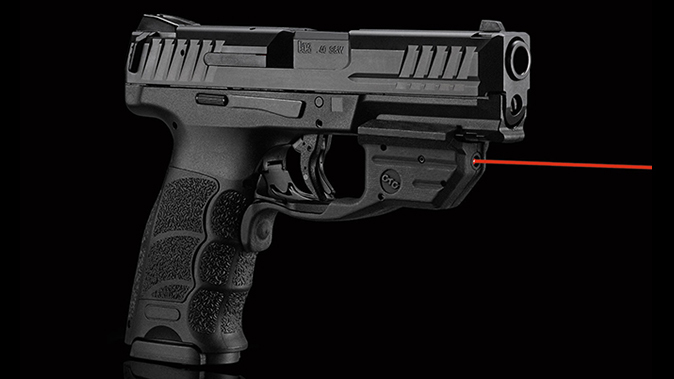 The sights feature Crimson Trace’s “instinctive activation” technology, meaning the unit springs to life with a normal firing grip. 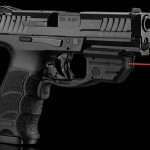 The LG-499 features a a 5mW peak, 620-670nm, Class 3R red laser beam, while the LG-499G sports a 5mW peak, 515-532nm, Class 3R green laser beam. 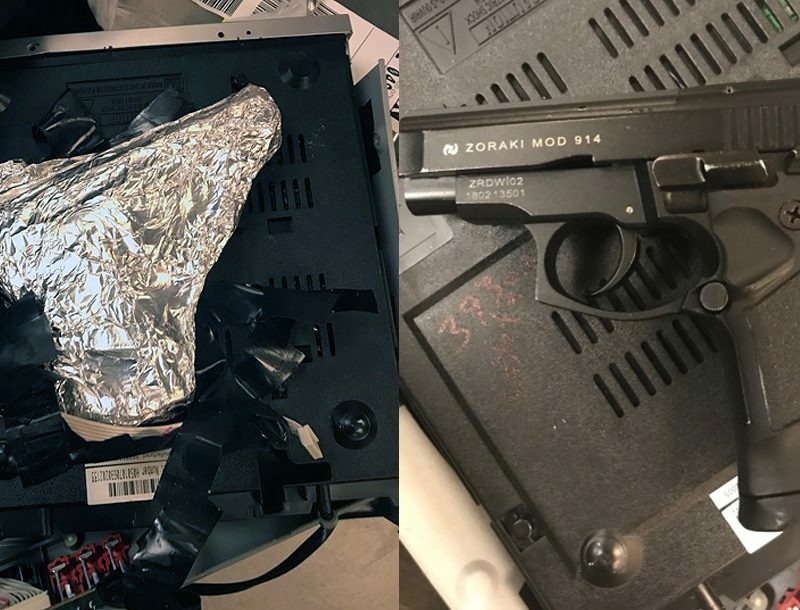 The LG-499G has a master on/off switch for completely powering down the unit. 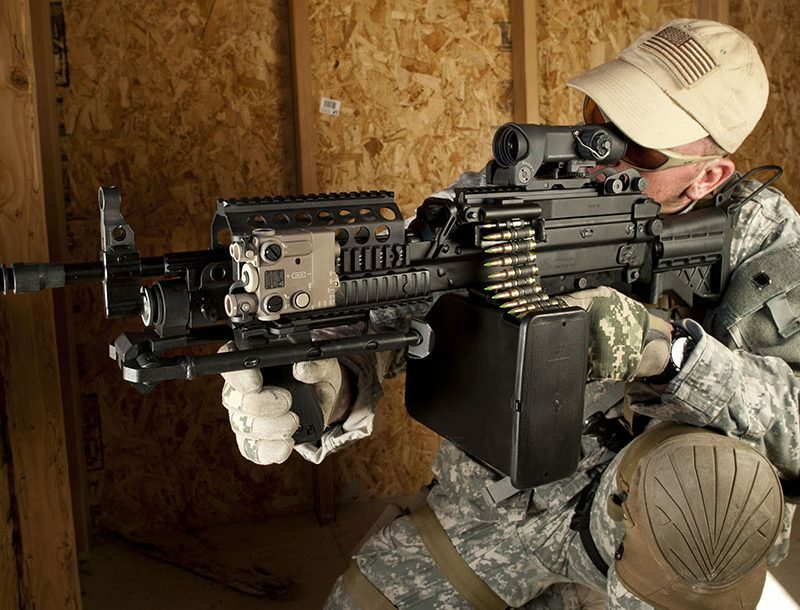 Both models feature a front activation button, can be installed in minutes and are adjustable for windage and elevation. 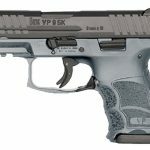 MSRP for the LG-499 is $229, while the LG-499G is priced at $309. 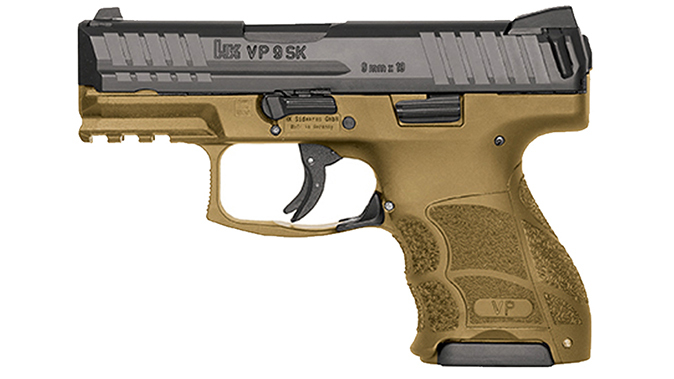 These new colors are priced the same as the standard VP9SK: $719 with one flat and two extended floorplate 10 round magazines, or $819 with one flat and two extended floorplate 10 round magazines with night sights. 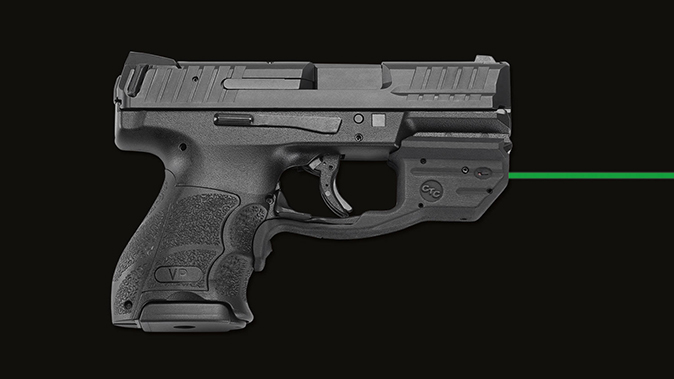 13-round and 15-round extended magazines are also available at the HK shop.